The Benue State chapter of the Peoples Democratic Party, PDP, has declared its readiness to challenge the result of votes obtained by the All Progressives Congress, APC, at the just-concluded governorship and presidential elections in the state. 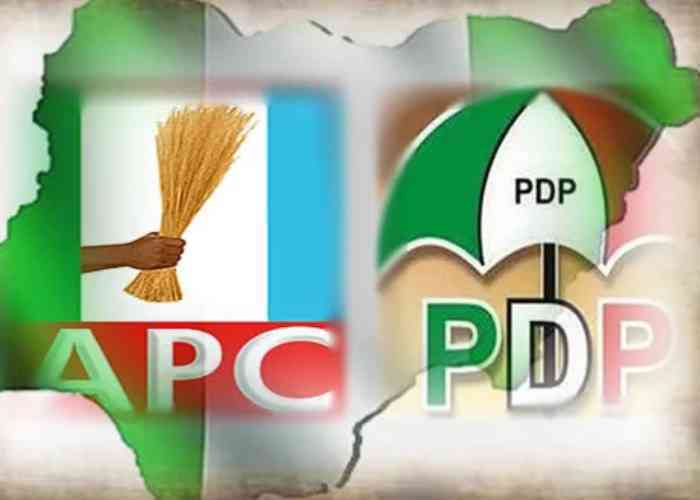 PDP in the state said its lawyers will be challenging the results of the election at the state’s Governorship Election Tribunal sitting in Makurdi, the state capital. In a statement by its state Publicity Secretary, Bemgba Iortyom, the state chapter of the party its “team of lawyers will be challenging those votes at the Governorship Election Petition Tribunal sitting in Makurdi, following a decision of the leadership of the party after it received field reports indicating numerous irregularities perpetrated by APC during the polls. “PDP leaders met and have concluded that given the party’s acceptance across the state, its candidate, Gov. Samuel Ortom, would certainly have posted a wider margin of votes against his closest rival, if it were not for the irregularities. PDP “re-emphasised its victory at the presidential election in the state, all the three Senators, six out of eleven House of Representatives members, while APC won just one, with other political parties winning three and one seat still declared inconclusive by the Independent National Electoral Commission (INEC). The party further stressed that all those “arrested for one election malpractice or another during the last General Elections, including possession of large numbers of PVCs, weapons and large amounts of money across the state, were APC members. “Our cross petition will give us opportunity to provide proof that Gov. Ortom’s votes were far more than those announced by INEC while his APC opponent had far less than what was declared for him,” the statement added.